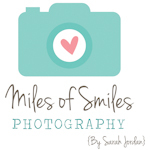 2017 is off to a great and busy start for us here at Miles of Smiles Photography! I just completed the new VIDEO TOUR tonight, and am so happy with how it turned out. I am so very blessed to get to do what I do for a living, work with all of the amazing babies and families that I do, and get to turn their memories into ART that will long outlive me. Enjoy a peek at our video, and some images below it.